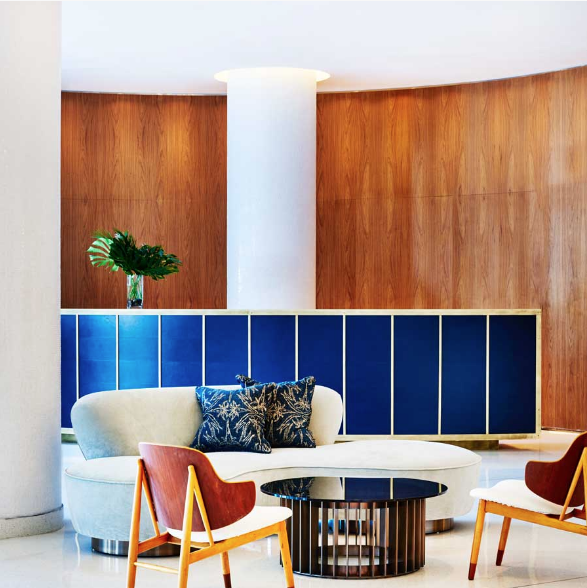 More modern coastal elements dominate the hotel rooms, but many of the communal spaces such as the cabana club and lobby bar, are filled with midcentury-inspired furniture and designs. 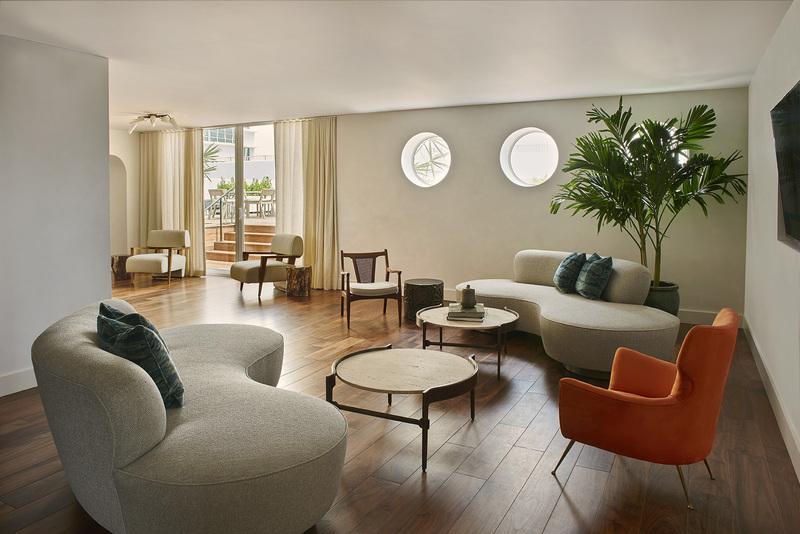 In the penthouse, the living room gives tribute to the hotel’s original 1950s design through the minimal decorations and MCM seating. Besides touring the historic Art Deco district, there are many other sights and attractions to keep you occupied. You could lay on the beach or go boating with a sailboat or guided tour of the bay. Try out one of Miami’s museums, or stick with the coastal theme and visit the Miami Seaquarium. The Everglades National Park is just an hour away, or you could take a longer trek up to Orlando to visit Disney World and the Wizarding World of Harry Potter. The options are nearly endless. 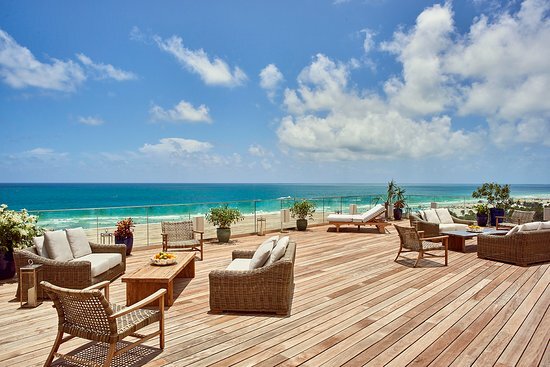 The outdoor patio offers a place to unwind and savor Miami sun and sand. The Cabana Club overlooks the hotel’s outdoor area. 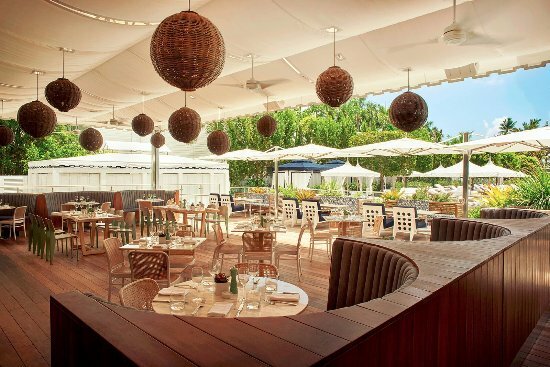 “Designed with midcentury roots, the Nautilus Cabana Club offers Mediterranean cuisine with fresh Floridian ingredients,” the website says. Simple architecture and clean furnishings harken back to the hotel’s first days in the 1950s.